Put the perfect cap on your pool’s edge thanks to Fulton Brickyard’s expressive and modern pool copping. 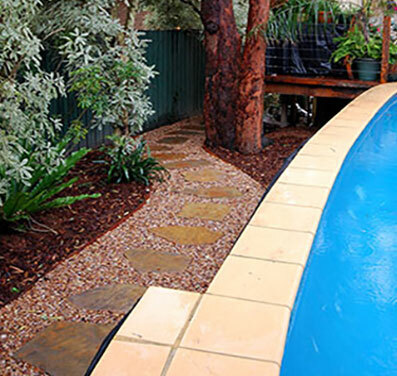 Sourced from vibrant and water-resistant stone and slate our colourful pool copping helps prevent injury from occurring when swimmers make contact with the edge of the pool, while also seamlessly blending the pool in with the tiled or paved area around the pool. Improve your poolside environment and put the finishing touches on your pool thanks to the innovative solutions and services from Fulton Brickyard. Find out more by calling us on 03 9887 0134.